SoftBank-backed Grofers has narrowed its standalone losses to Rs 258.3 crore in the financial year 2017-18, while its income by over 57 per cent from the previous fiscal, according to regulatory documents filed by the company. 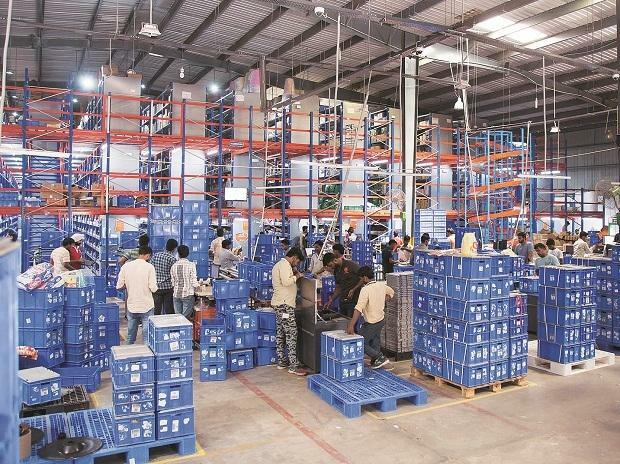 The company, which competes with the likes of BigBasket as well as grocery verticals of e-commerce majors such as Flipkart and Amazon, had posted a net loss of Rs 268.3 crore for the year ended March 2017, according to a filing made to Corporate Affairs Ministry. The income was higher by 57.5 per cent to Rs 53.4 crore in 2017-18 from Rs 33.9 crore in the previous financial year, the document sourced by business intellegence platform Tofler showed. "At Grofers, we are pleased with our year-on-year growth trajectory. We have been witnessing surge in revenue, while the operating losses have plummeted. Our GMV (gross merchandise value) has increased by 150 per cent from FY2016-17 to FY2017-18," Grofers founder Saurabh Kumar told PTI. He added that with these economies of scale combined with robust growth prospects of the business, the company is confident about strengthening this momentum. In December, Grofers had said it aims to garner USD 2.5 billion (around 17,500 crore) in revenue by 2020 as it scales up its private label offerings in the country and focusses on expanding repeat purchases in its platform. The company, which has already completed five years of operations, had a revenue run rate of over USD 360 million (about Rs 2,500 crore) around that time.